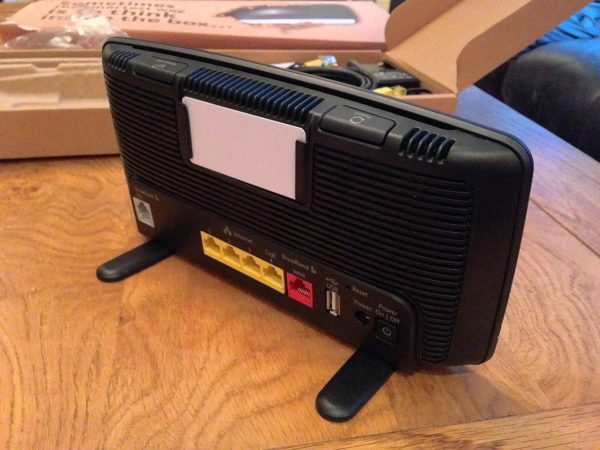 BT’s new HomeHub 4 isn’t entirely new anymore, but we have been sent one and have been using it for a few weeks now. The HomeHub 4 has a sleek brand new design, with lots of matte black which we like very much. 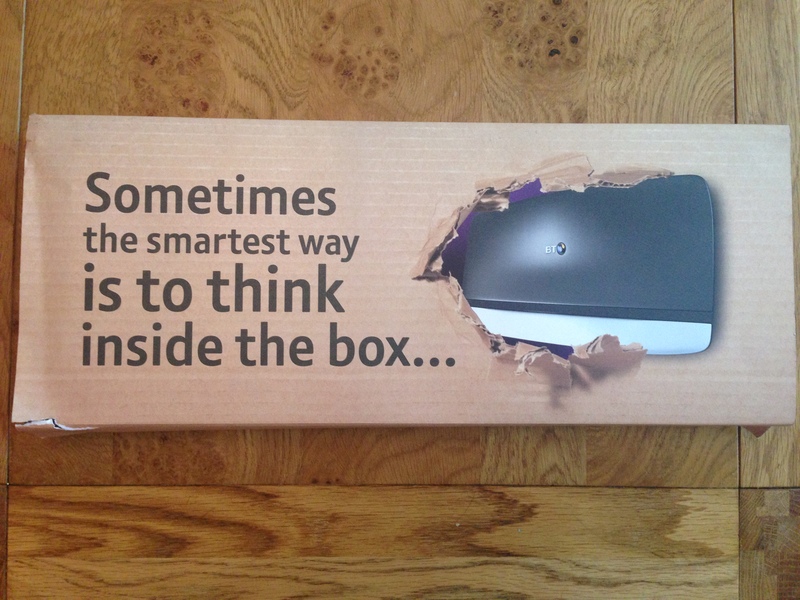 BT have given this one some thought as it now is thin enough to fit into a box that will even fit through your letterbox, which means that you don’t need to be at home to accept delivery of the parcel. We all know the frustrations of having to live without internet while changing homes or providers, and a missed router delivery used to mean an even longer delay in getting connected. Thankfully these frustrations will be a thing of the past. The reset and WPS connection buttons have been moved to the top of the HomeHub, which means no more fiddling around the back, or guessing which button you might be pressing. The usual connections on the back haven’t changed much – but there wasn’t really anything wrong with them, so it’s good that BT haven’t tried to mend what wasn’t broken. The big difference over the previous edition of the HomeHub is that the 4 now includes dual band WiFi (2.4 and 5GHz) which means that 5GHz capable devices will be able to benefit from the fast connection, and freeing up the other band for connections to other devices. 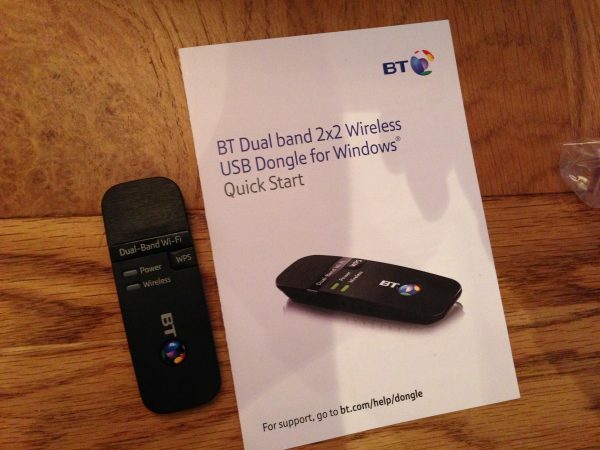 The box that we were sent also included a dual band WiFi dongle so we could test out the new speedier connection, but it is worth noting that these will not come as standard, but will be available as optional extras to BT customers. One annoyance I did find is that every new device that connects to the HomeHub for the first time will need to go through a series of setup screens which allow you to set parental controls and other settings. After a while I did notice a discreet little link at the bottom of the page which gave me the option to stop this from popping up for every new device, but it certainly wasn’t immediately obvious. All in all the HomeHub 4 is a OK piece of kit. If you are an existing BT customer, then I wouldn’t suggest you go out and purchase the HomeHub 4 as an upgrade. I personally don’t think it is really worth it, especially as BT have already announced that they will be releasing an even more improved BT HomeHub 5 later in the year which will include support for the latest 802.11ac WiFi. 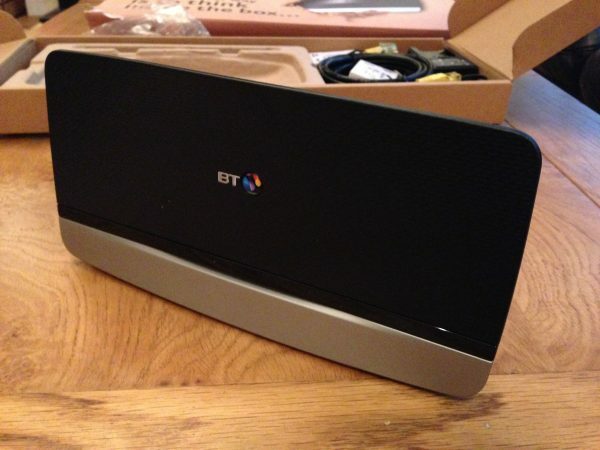 This is also particularly relevant to those of you with BT Infinity connections as the HomeHub 5 will also bring support for the new mega-ultra-super-dooper fast broadband (300 mbps!) that they have in the pipeline. For more photos of the HomeHub 4, go to our Facebook page here. Previous story LG G2 – What it is, and what we think! Next story Review AND a Competition: e-Cigarettes by Neo!